Well it’s not Crackerjack that’s for sure !!! Of course, as many long in the tooth response bobbies know, five o’clock on a Friday is that time when you get the desperate ‘concern for welfare’ call from Social Services that must be acted on straight away …. well actually in ten minutes time after they’ve all gone home for the weekend. Its always the same; Social Services have known about the concern since nine o’clock Monday morning and done nothing but come the end of their cuddly 9-5 week and it suddenly becomes an SEP job to them – Someone Else’s Problem ….. So out we go, find there is actually something that needs dealing with asap so its back on the phone to Social Services and of course …. no one is there but the cleaner (who would probably do a better job anyway). So, Out of Hours Team it has to be then, which means several hours waiting for a call back from some uninterested soul the other side of the county who has no access to this patients file, has never heard of them and desparately wants to get back to watching whatever garbage is on Channel 4 at that moment. Needless to say this single job could, and very often does, tie up two police officers (aka half the shift) for most of the evening ….. just what you need on a Friday !!!!! Fast track option ?? Convince said subject their best chance is a trip to A&E to speak to the doctors there and it’s an SEP job for us. Sorry n all that if you were waiting at the Bigtown Infirmary to get that plastic cucumber removed from a very unusual place when we came in but it’s the system’s fault you see …. and that’s Someone Else’s Problem. After a long time in the job, extensive amounts of research and regular (most Friday and Saturday nights) ‘customer’ feedback, I’ve come to the conclusion that I have been wasting police time. I mean, why did I bother with that 3 months away from home and family; living in accommodation most Third World refugees would turn their nose up at; learning the finer points of UK Criminal Law and how nasty the police have always been in the past but we are going to be better, when all I needed to do was get smashed out of my head every weekend. From the ‘discussions’ we commonly have with Bigtown’s drunken idiots one theme is clear – they all ‘know the law better than we do’ and are legally adamant that ‘you can’t nick me’. So there we are … pass the Tennants Extra someone, I can’t be bothered with doing next weeks training course the old fashioned way. The Olympics are coming …. Here’s a few interesting facts for you…..
On the 6th July 2005, the International Olympic Committee announced that London had been successful in winning the 2012 Olympics; beating the alternative final bidder Paris by 54 votes to 50. Sebastian Coe (Lord Coe) who was in charge of the UK bid said “This is just the most fantastic opportunity to do everything we ever dreamed of in British sport”. It’s now January 2012. 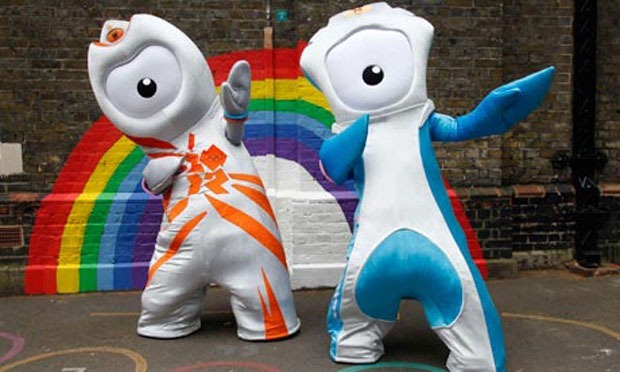 The main Olympic Games start on the 27th July, followed by the Paralympic Games starting on the 29th August. So we are about 6 months from D-Day, having known these specific dates for just under 7 years. We all know that the world has changed greatly since then – that happened in London the very day after the announcement – but it would be fair to think that in the intermediate ‘almost 7 years’, those put in charge of the planning would have a fair idea of where we are at. Unless of course, you work in the planning department at Bigtown police. Across the whole of the United Kingdom, there is a ban on police officers (and many other essential services staff) taking annual leave between certain dates. It was expected, and to a degree is understandable – things like the Olympics don’t happen every year (thank God) and we have had many years to plan around this one-off occasion. Except we haven’t. Here in Bigtown, we only got an inkling of when our leave ban was going to be about a month ago – six and a half years after we knew we had to sort things out. Most emergency workers have written the summer of 2012 off completely. Most have tried to arrange family holidays at the beginning or end of the year. And there begins the next battle. If you have kids, and want to take them out of school during term time, you had better sell your kidneys now to bribe the headteacher. It matters not if your child has a 100% attendance record, is top of his/her class, and spends most of their day explaining why the teacher has got it wrong and waiting for the rest of the students to catch up – apparently the whole education system will fall apart in an implosion of black hole proportions should the Chaos child miss three days after half term (the Monday and Tuesday of the week are of course PD days so that won’t affect their education at all …. one bit … in the slightest). Those of us foolish enough to think the Department for Education would have sent a memo out to the Education Authorities instructing them to allow Emergency workers to take kids on holiday in term time as a ‘special circumstance’ were in for a shock. The most they would do is say they would ‘support’ the idea but it was still up to the schools themsleves. Once (If) you’ve been lucky enough to climb that mountain you then hit the next, and even bigger hurdle. UK holiday companies aren’t daft are they ??? They seem to be the only ones capable of planning ahead in this game. No longer is it just the half term and summer holiday weeks that they’ve grossly inflated their prices – for 2012 they’ve gone more or less the full hog from Easter to October. Maybe Thomas Cook should have organised the Olympics then ??? There’s one other time of year that police planners are notoriously known for being unable to plan for, and in the interests of providing a better service to the public and also staff relations, I’d like to point out that I’ve checked my Police Federation diary and it seems that this year, Christmas Day will in fact be on the 25th December …… just so you can plan for it.